I should probably already be starting dinner, but I've spent the whole day running about and haven't had much time to relish in the fact that our internet is up and running again. (ooohhh, blogs to read, ooooohhhh apple TV working, ooooohhhhh reading e-mail) Apparently our modem died early Saturday morning and we couldn't get a new one from our provider until this morning. It's amazing that I made it though the weekend. Thank goodness for smart phones. I was fortunate that I had already written and scheduled my sequin post! Speaking of that, thank you all for your super sweet comments on my all-over-the-place sequin designs. You really flattered me. Since I do have dinner to cook, let me go ahead an get to the meat (or mostly lack thereof in my case) of this post, my Meal Plan for the week. 2. Lay the puff pastry sheets out on a work surface and roll them out into 10-inch squares, using flour if the pastry sticks. Cut each sheet into four 5-inch squares. Use a pastry brush to brush beaten egg along all four edges of each square. Place 1 heaping tablespoon peanut butter and 1 heaping tablespoon jam in the center of each puff pastry and fold it in half diagonally, pressing the edges together to enclose the filling and working out any air. Use a fork to seal the edges completely by pressing the tines down to make a crimped pattern. 3. Arrange the pastry triangles on a baking sheet. Brush the surface of the turnovers with beaten egg. Bake until golden brown, about 25 minutes. 4. Remove the turnovers from the oven and transfer them to a wire rack to cool slightly before consuming. 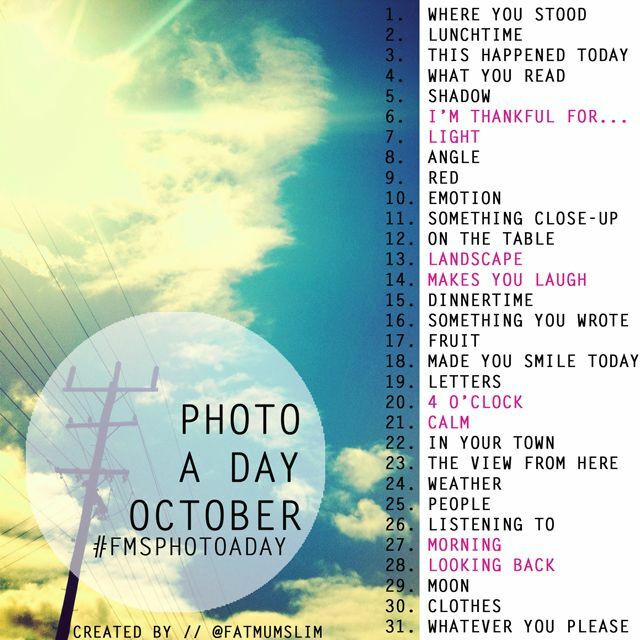 It's the first of October and I'm again participating in Fat Mum Slim's Photo-a-Day Challenge. Below is the list of prompts for the month. Please check out Fat Mum Slim's blog post that has more information about participating in the challenge. Since it's the first of the month, I should also be reviewing my goals for the year. I'm going to delay that post just until tomorrow since I'm so pressed for time today. Check back in if you're interested in my progress. I'm hopping by from Menu Plan Monday today! Not having internet would be a true bummer in my house! I watch 98% of my TV programming on the internet. Don't you just enjoy this time of year? I love the crisp Autumn temps of Southern Maine when I was living there. For the last 18 yrs I've been on the West coast so no fall foliage to enjoy. 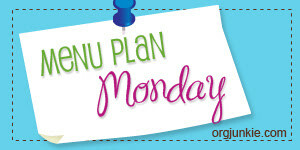 Your menu plan sounds so delicious.